The day began with a normal inside bar, but from the second bar onward things became volatile. I guess that was due to the anticipation about GST. I am a little surprised by the limited impact of the GST news today. Anyway, I watched the M1 chart (see chart below), but overcame all temptations and sat on my hands.There were so many setups, but I thought none was good enough given the volatility. The first trade exit could also have been a SAR, but I desisted because 8700 was close. Took the second short when the Lows broke again. 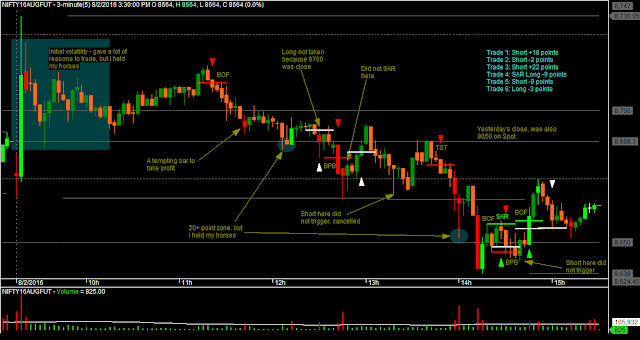 This move bounced back from the Day's Low, and that was a good set-up to reverse to Long. 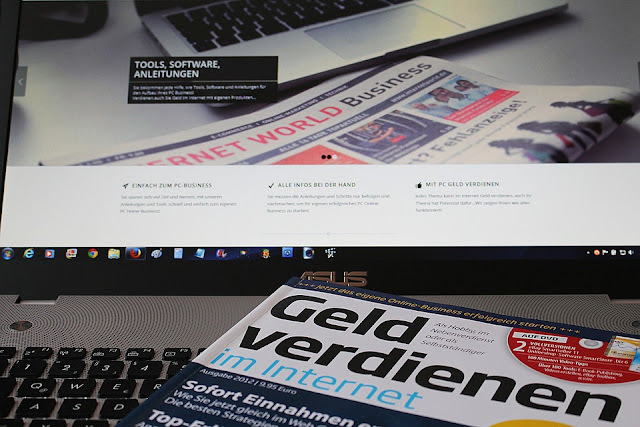 But I decided to be patient, and wait for a better set-up. Even that appeared a couple of bars later, but I decided to hold. Finally, took a loss of 2 points on the trade. After yesterday's loss, I am persuaded to tighten my Stop Loss to minimize loss whenever there is a move in my favor. In yesterday's loss, I had a MFE of +18 points, but took a loss of -9 points. Even this trade had a MFE of +16 points. 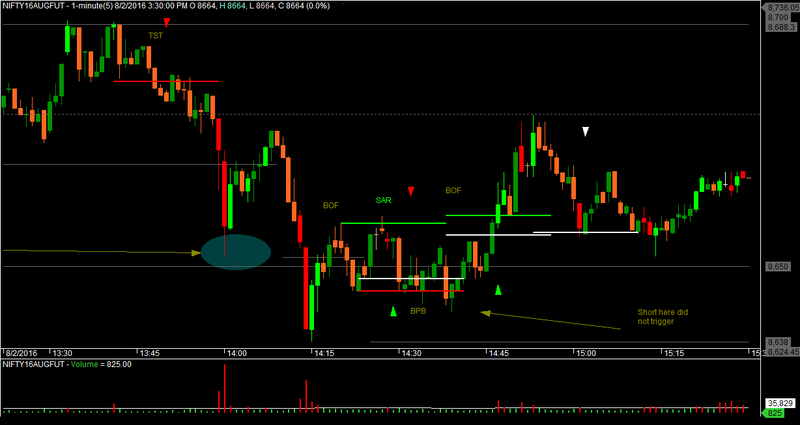 The third short was a Test of Yesterday's Close/8650 Spot. The reason for the trade will be clearer in the M1 chart below. The target for this trade was 8650 on Futures. I was patient and did not move my Stop even when it reached a +20 without touching 8650. When price bounced up from 8650, and formed a Pivot above it, I quickly lowered my Stop from 8659 to 8657 and reversed to long. In hindsight, it was a pretty stupid move to lock in just 2 more points, especially when the trend was down. But you never know when price reverse (like I missed the Breakout Failure Long at the same price yesterday). Let's agree that it was stupid though to not wait another 2 points, and live longer. 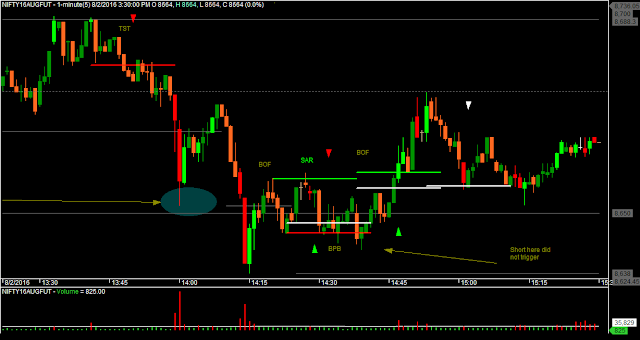 The next 2 trades, did not move at all in my favor, and I took full losses on those. At some point, I should probably have stopped trading for the day. 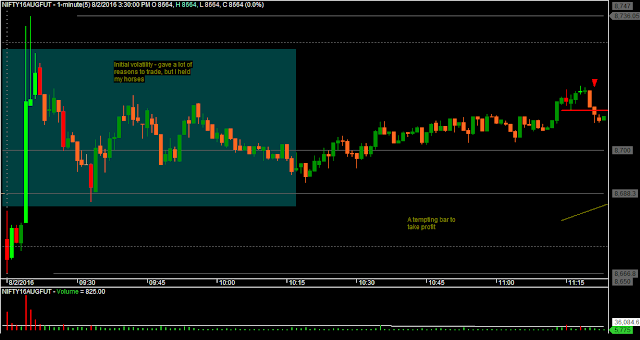 The last trade did move in favor, and gave me a smaller loss. The major mistake today was SAR'ing a wee bit quickly on Trade 3. Had the Stop Loss remained at +20 points, a lot of points would have been retained. Maybe, I should also think of reducing my Initial Stop Losses, and even locking in small profits. Finally, just like yesterday, I probably got the right entries but do not have the points to show for that. So, need to work on trailing the Stop Losses better.